Am I required to have Irish to go to UL? No, Irish is not part of the minimum entry requirements. The language requirement for admission to the University is 'Irish or another language and English'. Therefore Irish may be used to satisfy the second language requirement instead of French/German/Spanish etc. Can a subject presented from LCVP (Leaving Certificate Vocational Programme) be used to satisfy the minimum entry requirements? No, however the LCVP modules may be used for calculating points. These are calculated as follows: Distinction 66; Merit 46; Pass 28. Can I defer entry to my programme? You may be able to defer entry to your programme for one year. You will need to complete an online application form. There are no deferrals granted for LM101, BM BS Bachelor of Medicine, Bachelor of Surgery (Graduate Entry). Can students repeating leaving Certificate subjects combine points from different years? No, points are calculated from only one sitting of the Leaving Certificate to meet entry requirements; however subject entry requirements can be fulfilled from more than one sitting of the Leaving Certificate. The best six subjects in any one year are used for calculating points. Does the University of Limerick hold a Special Maths Exam? There is a Special Maths Exam (SME) held at the University of Limerick for school-leaving applicants in order to satisfy the specific subject requirement grade in Mathematics for programmes offered by the Faculty of Science and Engineering. This is held at the University, following the publication of the Irish Leaving Certificate Examination results in August. If an applicant does not achieve the required grade in Mathematics for one of the University's full-time Undergraduate Science & Engineering programmes, the Special Maths Exam may be sat in order to gain this requirement. Only the Higher Level paper can be sat in the Special Maths Exam and applicants must have achieved the required points for entry. For students studying the Psychology option in LM002 Bachelor of Arts, are places limited? Yes, places in Psychology will be competitive as there are limited places. Progression in to Year 2 will be dependent on the basis of Year 1 performance. How do I apply for a University of Limerick Language Exemption? Applicants may apply for an exemption from the second language requirement of Irish OR another language (excluding English) if they meet certain criteria. 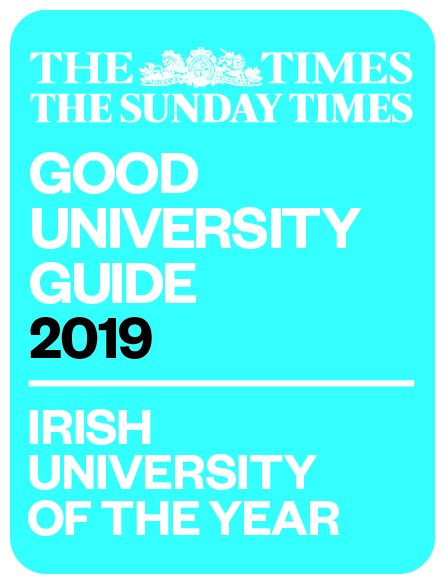 How do I apply to the University of Limerick? There are 2 application routes to UL programmes for EU students (or students with EU residency). Most prospective students to UL make their application through the Central Applications Office (CAO), however some programmes require students to apply directly to UL through the Undergraduate Admissions Office. How do I calculate my Leaving Certificate Points? You calculate your points by adding the scores of your best six subjects together. The six subjects you are counting for points purposes do not need to include subjects that are specific programme requirements. If, for example, you are required to get a particular grade in Mathematics and you achieve that grade, but you do better in your other six subjects, then you count the other six for points purposes and the Mathematics requirement is still met. If you took six or seven subjects in your Leaving Certificate and also took the Leaving Certificate Vocational Programme (LCVP), you may count your LCVP score as one of your best six scores, if it is better than your sixth or seventh conventional Leaving Certificate subject. An additional score of 25 points is awarded for grades H1 to H6 in the Higher Leaving Mathematics. The additional scores are only where it is included in as one of the applicant’s best six subjects. I did not receive an offer from the University of Limerick. Why? Did you get an offer of a higher preference from another HEI? If you did, you are not entitled to get an offer of a lower preference. Did you meet the minimum entry requirements for admission to the University? Did you satisfy the specific subject requirements for the programme? Details of these are available in the entry requirements section for each programme. Did you have the points required for entry to the programme? You can check your calculation of points using the CAO Points Calculator. Did random numbering occur? In some instances it is not possible to make offers to all candidates who achieve the same points score having satisfied all other requirements. To identify those for an offer, a random number is assigned to each applicant and the candidates with the highest random number are made an offer. Were there additional assessment requirements for the programme that you did not meet? I received a University of Limerick CAO offer, what happens next? Congratulations on getting an offer of a place. If you wish to take up the offer of a place, you must accept your offer online. Once you have accepted your offer, an orientation pack will be posted to your home address. As a new undergraduate student, comprehensive information is available from our orientation website. In making an application for the B Arch Architecture, LM099 will the portfolio submission increase my points calculation? No, the Portfolio/Statement results are on a Pass/Fail basis and eligible candidates are then assessed on their Leaving Certificate and compete on their points calculation. No additional points are awarded for passing the portfolio requirement. Is Foundation Level Mathematics sufficient in order to satisfy minimum subject requirements? Yes, Foundation Mathematics is acceptable in fulfilling minimum entry requirements; however points are not awarded for Foundation Mathematics. Applicants are advised to check specific programme entry requirements. What happens if I get my Leaving Certificate rechecked? Where you get a recheck of your Leaving Certificate and one or more of your grades are raised resulting in an increase in your points score, in circumstances where your points score is now above the cut-off and you become entitled to an offer of a programme at the University of Limerick (or another UL programme of a higher preference) you are entitled to be offered a place on the programme. The Admissions Office will be in contact with applicants to discuss their options and advise accordingly. What offers are made in Round 0? Round 0 offers are made in late July for the BM BS Bachelor of Medicine, Bachelor of Surgery (Graduate Entry) and to those being considered based on their performance in QQI for those undergraduate programmes with a QQI entry pathway. What offers are made in Round A? Round A offers are made in early July to those who deferred entry in the previous year and to those who are receiving offers as mature applicants. What offers are made in Round 1? Round 1 offers are made in late August and are the main body of offers for those who completed the Irish Leaving Certificate Examination. Will additional offers be made in Round 2? In Round 1 the University makes sufficient number of offers to fill its programmes. In the event that the number of acceptances is lower than expected, additional offers may be made in Round 2. There are no places reserved for Round 2. Additional offers are made in Round 2 to students who sit the Special Maths Examination for entry into programmes in the Faculty of Science and Engineering. Students who achieve the required standard in the maths exam and satisfy all other specific programme requirements, minimum entry requirements and have the points required, are eligible to be considered for an offer in Round 2. Applications must be made through the Central Applications Office (CAO) in accordance with the rules and guidelines contained in the CAO handbook. Applicants are required to hold at the time of enrolment the established Leaving Certificate (or an approved equivalent) with a minimum of five subjects which must include: Five O6 (Ordinary Level) grades or five H7 (Higher Level) grades. Subjects must include Mathematics, Irish or another language, and English. To find the specific subject requirements for individual programmes please view the Undergraduate Prospectus. It should be noted that candidates may continue to fulfil minimum and specific subject requirements for more than one sitting of the Leaving Cert. Due to the number and calibre of applicants, qualified candidates to all undergraduate degree programmes are places in order of merit based on a points system. Points are awarded for the best six subjects from one sitting of the Leaving Certificate. The Leaving Certificate Vocation programme (LCVP) can also be included in the calculation of points scores. There are restrictions in the use of combinations of certain Leaving Certificate subjects for the purposes of satisfying Minimum Entry Requirements. Physics, chemistry and physics and chemistry count as two subjects. Home economics (scientific and social), home economics (general) and home economics (single course), any combination counts as one subject. English, English composition count as one subject. Music, music and musicianship, music and musicianship a, music and musicianship b, any combination counts as one subject. If you have a copy of DES Certificate of Exemption under Circular M10/94 signed and stamped by your school principal, you do not need to submit a psychologist report or a UL Language Exemption Declaration. A copy of DES Certificate of Exemption under Circular M10/94 signed and stamped by your school principal. Please Note: If you have a DES Certificate of Exemption under Circular 12/96 - primary school exemption, you will need to get your principal to sign and stamp the M10/94. Please complete an online Application for Second Language Exemption and include a copy of DES Certificate of Exemption under Circular M10/94 signed and stamped by your school principal. You do not need to submit a psychologist report or a UL Language Exemption Declaration. Please Note: This is not a DARE application. You will need to apply directly to the DARE Scheme. A copy of the UL's Language Exemption Declaration Form, signed and stamped by your school principal. A copy of the Psychologist Report.